Pareidolia is the psychological phenomenon where people see recognizable shapes in clouds, rock formations, or otherwise unrelated objects or data. There are many examples of this phenomenon on Earth and in space. WISE's infrared data. What do you see? 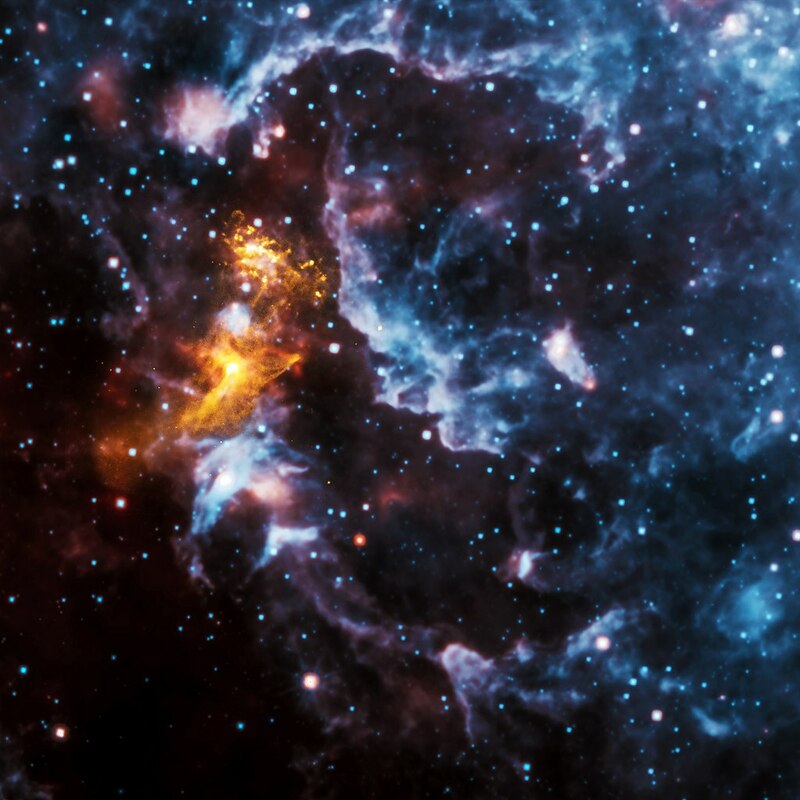 NASA's Nuclear Spectroscopic Telescope Array, or NuSTAR, also took a picture of the neutron star nebula in 2014, using higher-energy X-rays than Chandra. PSR B1509-58 is about 17,000 light-years from Earth. JPL, a division of the California Institute of Technology in Pasadena, manages the WISE mission for NASA. NASA's Marshall Space Flight Center in Huntsville, Alabama, manages the Chandra program for. The Smithsonian Astrophysical Observatory in Cambridge, Massachusetts, controls Chandra's science and flight operations. With the passing of Chandra's 15th anniversary, the Chandra Data Archive, which houses all of the mission's data, continues to grow each successive year. These images - that include a wide range of astronomical objects -- combine X-rays from Chandra's archive with data from other telescopes. This technique of creating "multi wavelength" images allows scientists and the public to see how X-rays fit with data of other types of light, such as optical, radio, and infrared.